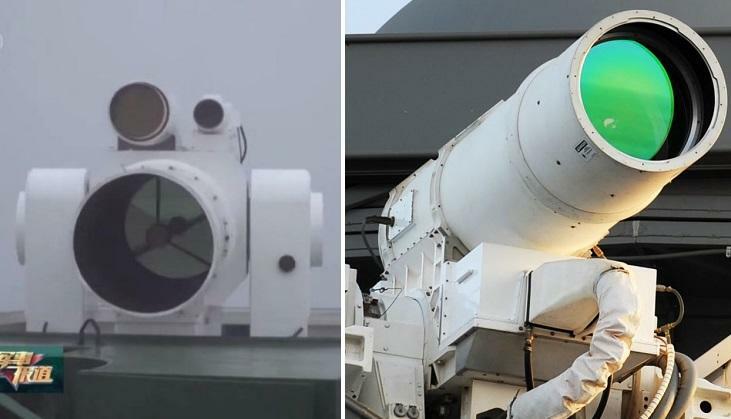 China's People's Liberation Army Navy (PLA Navy) unveiled a tactical laser system with a striking resemblance to a solid-state laser system tested by the US Navy in 2014, according to The Maritime Executive. 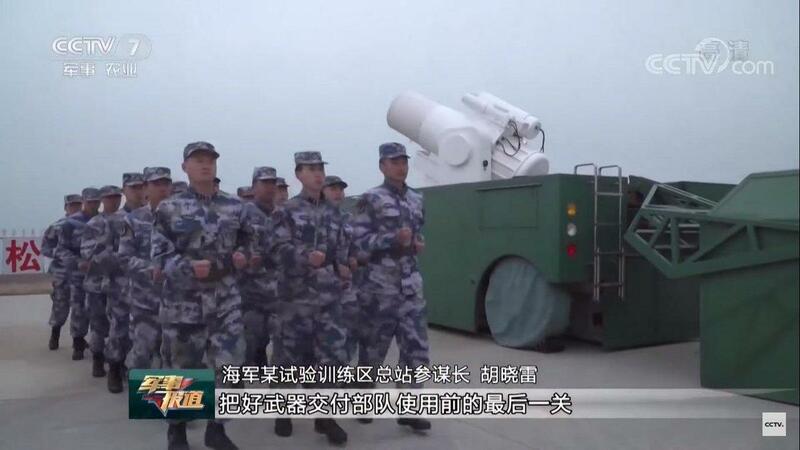 Appearing in a promotional video broadcast by state-owned channel CCTV, Beijing's new laser can be deployed on both land and sea, and can be used for both close-in surface-to-surface combat and air defenses. 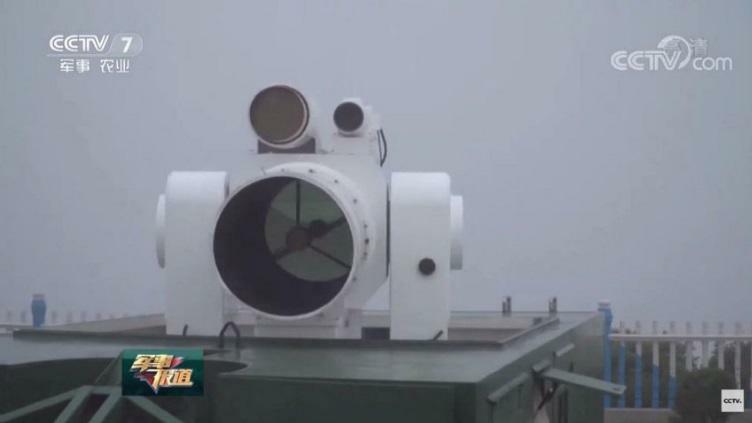 According to CCTV, the laser could be mounted on the PLA Navy's Type 055 destroyers as an alternative to the HHQ-10 surface-to-air missile. As The Maritime Executive notes, Beijing's system looks limilar to the US Navy's XN-1 LaWS system that was tested on the USS Ponce in 2014. The Navy reported that the system worked as designed against low-end asymmetric threats, and can be used at low power to dazzle enemies. At higher power it can fry sensors, burn out motors and detonate explosive materials. During one test, a UAV was able to shot down in as little as two seconds. This is just the latest in China's laser technology. In April, satellite photos revealed that Beijing has what appears to be a sophisticated anti-satellite laser base in Western China. A full report featuring the satellite imagery was published by the Washington Free Beacon which concluded alarmingly, "China likely is pursuing laser weapons to disrupt, degrade or damage sat­ellites and their sensors and possibly already has a limited capability to employ laser systems against satellite sensors." Meanwhile, last July we reported that China has a "laser AK-47" which its manufacturer claimed could set fire to a target from almost one kilometer away (.62 miles). After naysayers doubted the gun's capabilities, the South China Morning Post featured a test video in response to the critics. The company says the filmed test was not conducted at maximum range, citing "safety reasons, to avoid anyone accidentally walking into the beam" — as the beam is invisible and the device without sound, various objects are shown igniting, including clothing and even a tire. A company spokesman cited by the SCMP said "And after an upgrade it will be the world’s most advanced laser cannon – it will be able to take down a drone several kilometres away."